Posted bycyclingpassion	 July 15, 2016 November 14, 2016 Leave a comment on “Froome” descending style? 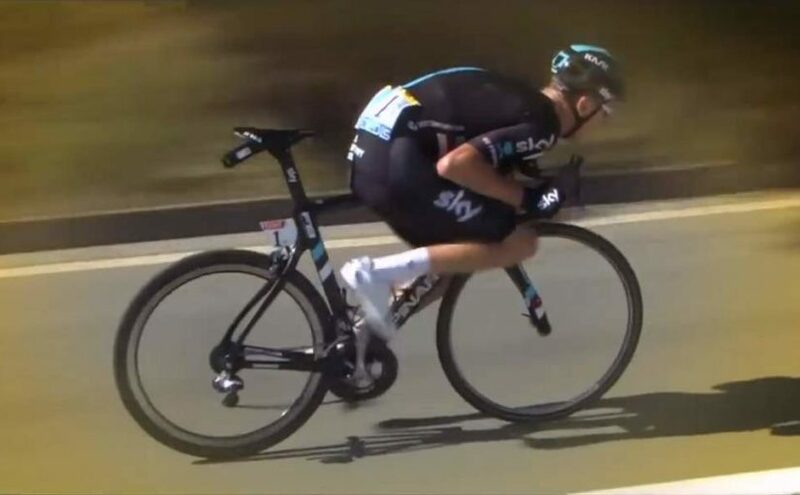 At the stage 8 of this years’ Tour de France, Chris Froome attacked on the descent. He quickly opened up a gap of a few seconds on his main general classification rivals, including Nairo Quintana. Then he tucked down onto the top tube of his bicycle and spun the 54 chainring with all he had, opening up an even bigger gap in the process. Finally, he won the stage by 13 seconds on his rivals. A lot of people were astonished to his descending technique. But, in fact, we saw it before. And look at the video below: at the end of the stage 5 of the Presidential Tour of Turkey 2014, we see Cameron Wurf of Cannondale team uses this very technique (see @0:33).